Believe it or not, some people actually do log out of Facebook. 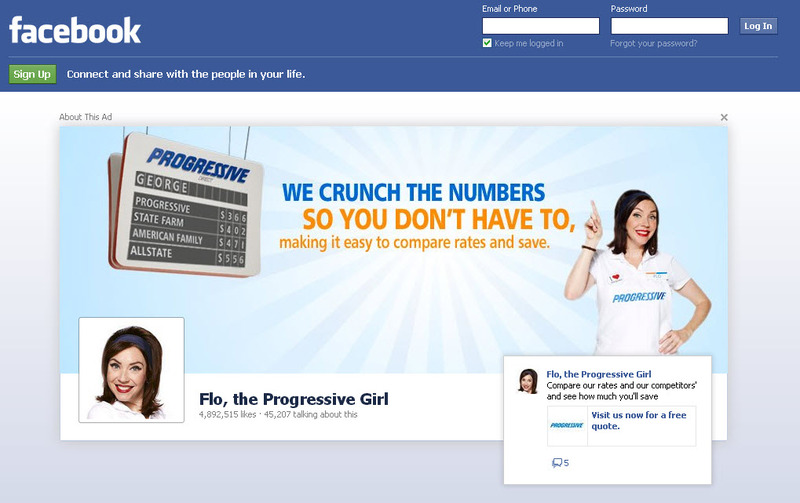 In the last twelve months, Facebook has begun featuring new ad formats on their log out page. Below is some creative I've collected over the last week that shows how advertisers are using this space. What strikes me is that it seems strange for Facebook to feature social actions such as Like and Comment, since users are logged out. Also, interesting to note from a direct attribution perspective, clicking anywhere on the banner image takes you to the advertiser's landing page with tracking parameters in the URL. 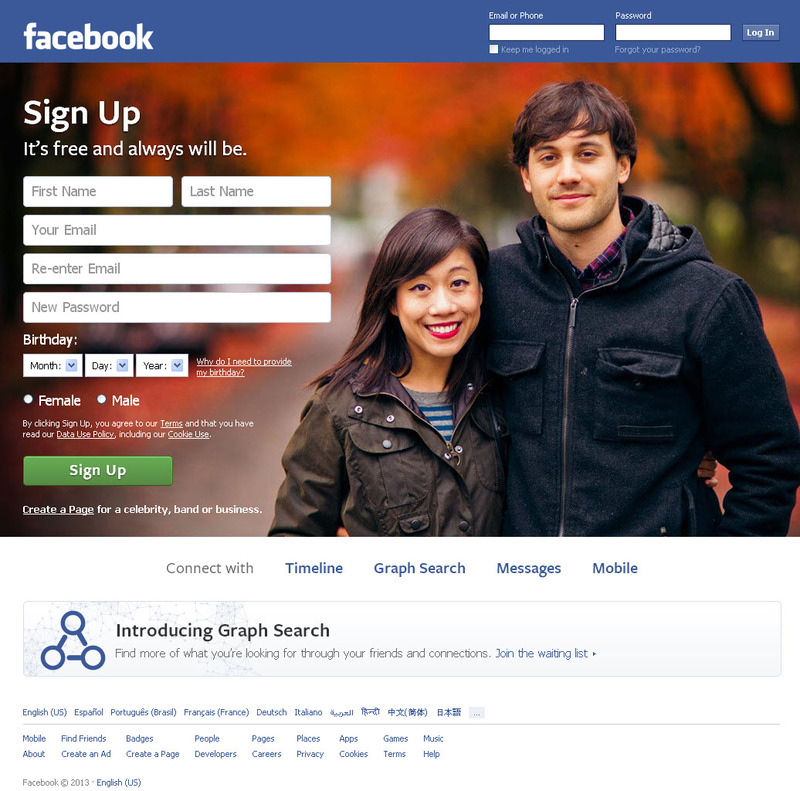 When you log out of Facebook you may see an ad that looks like a Page timeline on the homepage. 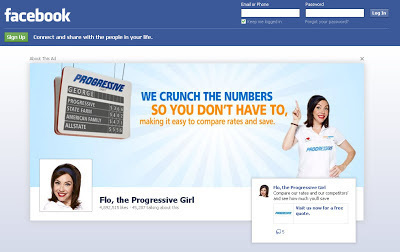 This allows advertisers to show larger format ads on Facebook without interrupting your experience when you're logged in and connecting with your friends. Advertising keeps Facebook free for everyone. Learn more about advertising on Facebook. What time is the Super Bowl? That might seem like a straightforward question, but it's that time of the year again, so let's get down to SEO brass tacks. "What time is the Super Bowl" is one of the oldest and most widely cited search engine tactics. It used to be the Huffington Post that ranked first for the Super Bowl query, but now it looks like NFL.com has gotten smart and built out their own "What time is the Super Bowl?" page with an optimized URL slug, text on page, and title tag. There are also hundreds of mostly legitimate sites out there looking to take advantage of a deluge of Super Bowl related traffic today. The catch is that Google has beaten them to the punch with their own native result--a win for users. So, what time is the Super Bowl? Well, it depends on what time zone you're in. There you have it folks, if you're wondering what time the Super Bowl is, you've got your answer. Super Bowl queries show that search optimization is as much about making the content you have discoverable as predicting queries and future demand.